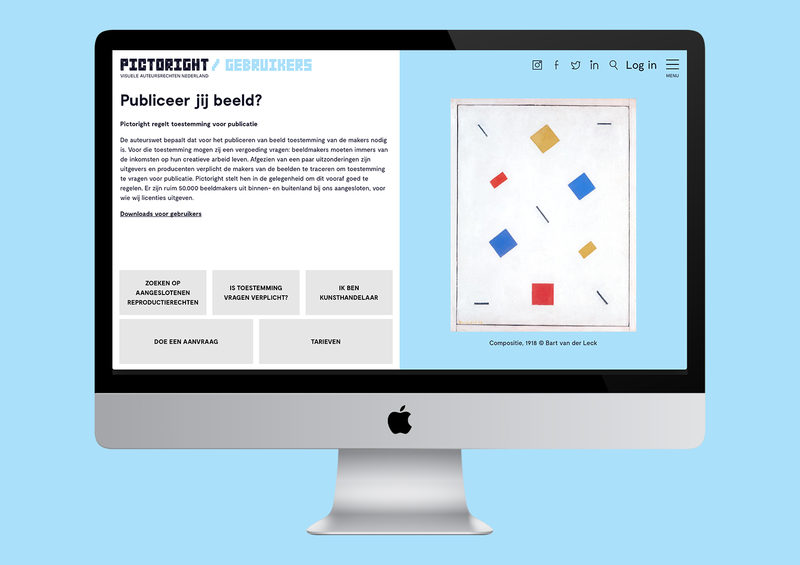 The new multilingual website of Pictoright, offers legal advice to artists, photographers, architects and designers on issues pertaining to copyright. 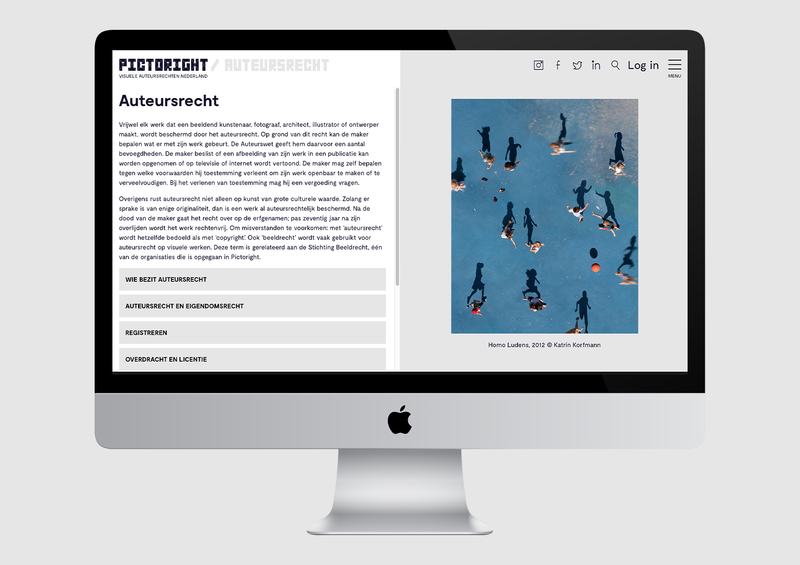 It also informs creative makers how they can collaborate with Pictoright to better protect their work from infringements. 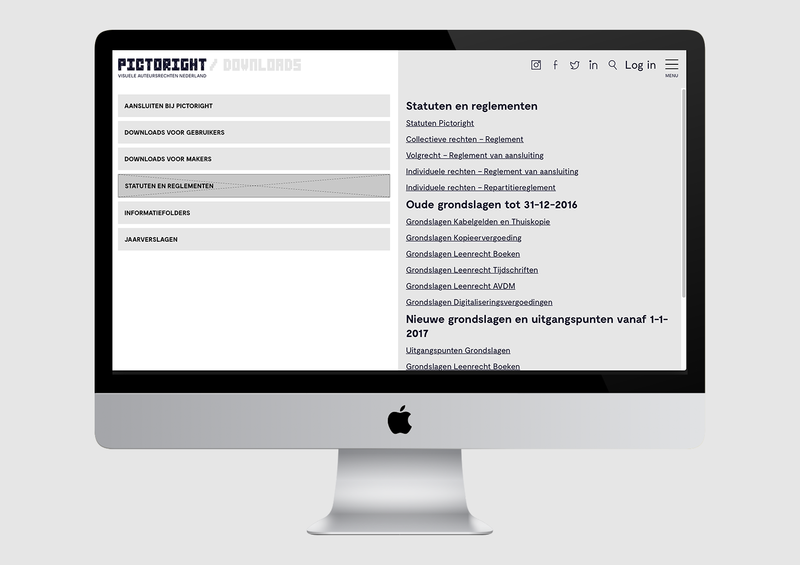 Once logged in, registered users can edit and monitor their own copyright rights. 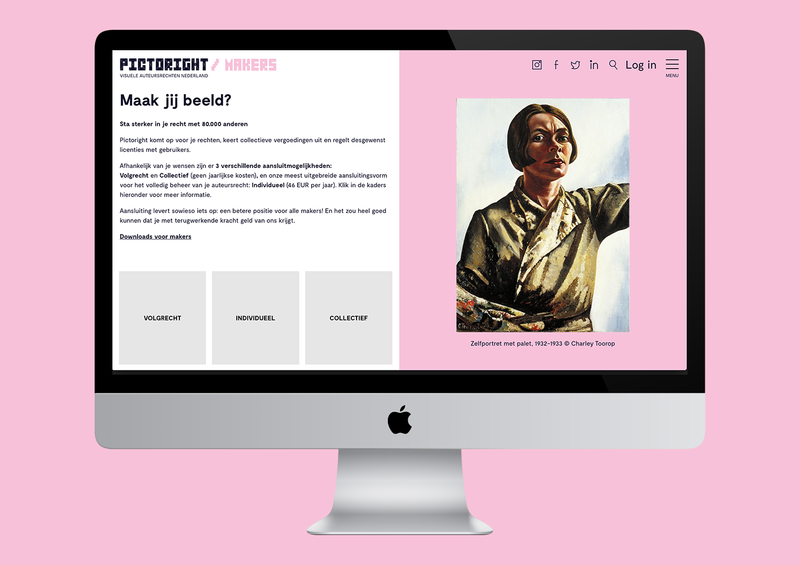 The website features regular news updates, information files and the possibility to search the Pictoright database for creative makers and their works. 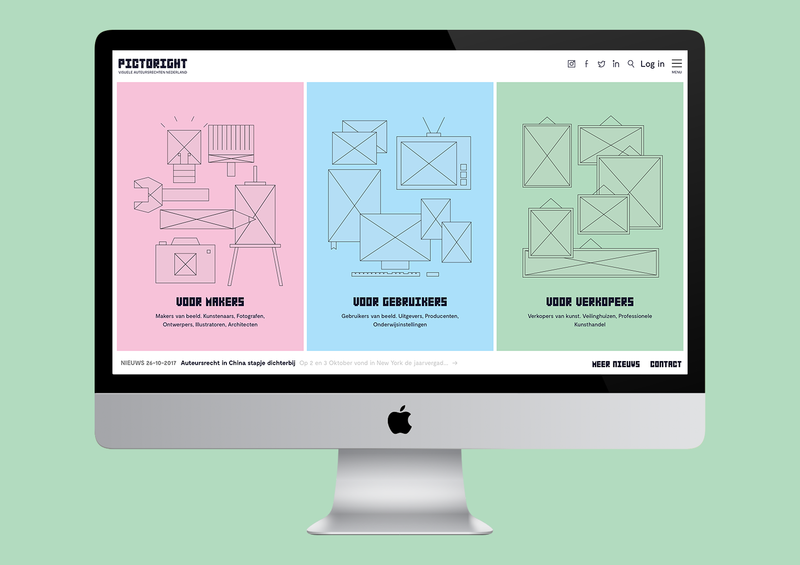 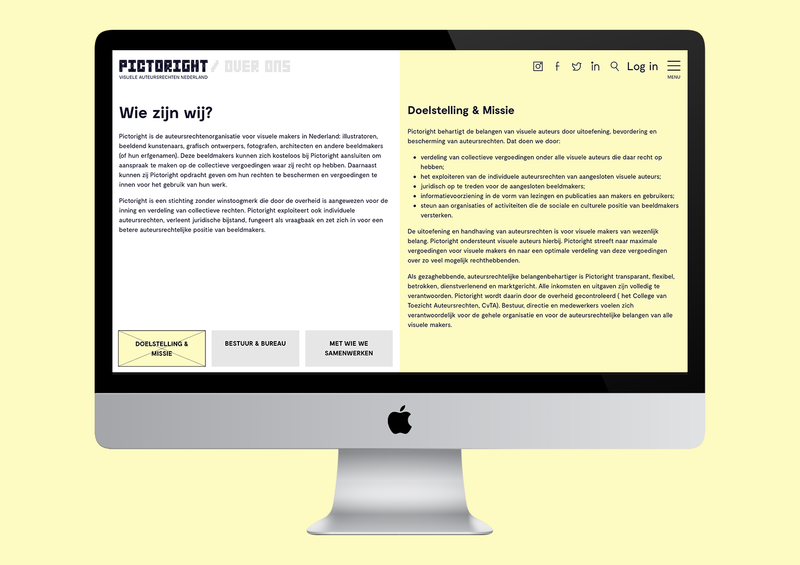 The inspiration for the website comes from the identity we created for Pictoright, it is fully responsive and makes use of single page application in order to load new content without needing to leave the page, thus facilitating the navigation experience for the user.